Spills, splashes and stains. Has your upholstery seen better days? You may have already resigned yourself to dull, dirty looking upholstery until you can afford to fork out for a whole new suite. Don’t write your furniture off quite so fast. Have you considered a professional upholstery cleaning service? There are many benefits to getting an expert cleaning service. For a professional upholstery cleaner in Preston, contact Wrennalls today on 01772 435739. Whether it’s leather or fabric upholstery that needs the cleaning touch, we have the right equipment and skills necessary to bring your tired old furniture back to life. Sofa grime? You need an upholstery cleaning service that can tackle even the toughest of dirt and stains. Our advanced Cristal Fusion Upholstering Cleaning System thoroughly cleans and removes dirt from fabrics, even dirt that is deeply caked in. Once the dirt is completely removed from the fibres, Cristal Fusion technology covers each fibre with an invisible film that helps stop any future dirt getting stuck to them. Cristal Fusion is completely safe to use on both natural and synthetic fibres. Depending on the fabric, your upholstery can be completely cleaned and dried within two to three hours. Ideal if, like us, your sofas are constantly in use. Plus, you won’t be left with that ‘damp’ smell you often find when you attempt to clean your upholstery yourself. With Wrennalls, you’ll be left with a good-as-new upholstery that is ready to head back into the battle of day to day life. Leather is an expensive material, designed to last a long time. So it is always distressing to find your beautiful leather upholstery marked and stained. Our professional team of technicians take extra special care during our expert leather cleaning process, bringing stained leather back to its original beauty. Not only does our leather cleaning package fully clean and restore your leather upholstery, but it also protects it from future damage such as cracks appearing. A worthwhile investment if you plan on using your furniture for a long time to come. 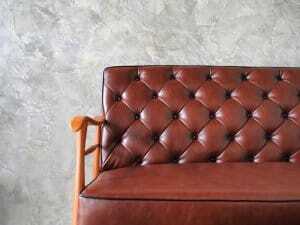 For fabric or leather upholstery cleaning in Preston, don’t hesitate to get in touch with us today. When making a first impression on visitors, guests or potential customers, having dirty, stained upholstery simply won’t do. At Wrennalls, we also carry out commercial upholstery cleaning across Preston. Suitable for retail environments, commercial offices, hospitality spaces and more. Let’s face it. People can be messy. Very messy. This sadly is not something we can always avoid. Unless we want to keep all our carpets and furniture covered in uncomfortable plastic at all times. No? We didn’t think so. As a result, keeping a space looking clean and professional can be an endless chore. Cue a local, professional upholstery cleaning service. Taking the worry out of keeping your commercial space looking flawless. Wow your visitors with a pristine, professional environment that will give off a great impression. We’re not saying it will seal your company that brilliant deal… but it can’t hurt, either. At Wrennalls, we utilise the latest technology and advanced equipment to return dirty, old looking upholstery to a brand new looking sheen. Some of our clients include hotels, restaurants, banks, airports and even hospitals around the Preston area and nearby region. 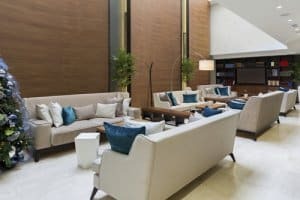 Whether it’s a one-off, or ongoing upholstery maintenance service, working with Wrennalls could not be more convenient. Contact us to discuss packages and we’ll endeavour to meet your company’s exact requirements. If you would like to find out more about our upholstery cleaning service, domestic or commercial, get in touch with us today on 01772 435739. We also do carpet cleaning in Preston. For upholstery cleaning in Preston, you can rely on Wrennalls.